Looking for a fresh new look for your floors? Why not install bamboo? Bamboo flooring happens to be one of the most durable, stylish flooring choices on the market today. It’s natural, organic, and can add class to almost every room in your home. But do a little research and you’ll quickly find it’s faults. 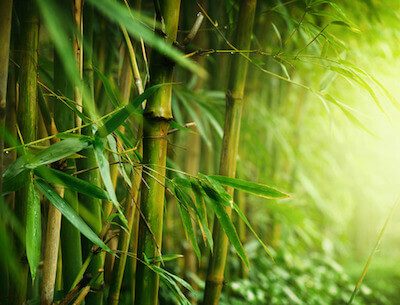 Because bamboo is a natural product, it can break down quickly if not well maintained. Add a little moisture and you’ll quickly find fading, warping, and cracking taking over large portions of your floor. That means bamboo should never be introduced to a room where it may come in contact with moisture, right? Well, not necessarily. The key is in the type of bamboo flooring you choose. Because of all the good things bamboo brings to the flooring industry, manufacturers continually strive to make it even stronger, more durable. One of the ways is through a process called weaving. Strand bamboo flooring adds strength and durability to an already great product line. After production, strand woven bamboo can have twice the hardness of Domestic Oak. That alone makes bamboo worth looking at for the high traffic areas of your home. Strand woven bamboo uses parts of the bamboo stalk that haven’t traditionally been used in other forms of production, giving this an eco-friendly alternative. Bamboo strands are pressed together and put under high pressure to form blocks, which eventually will be cut into flooring planks. Strand woven bamboo is an environmental breakthrough with a unique manufacturing process. Because it uses 100 percent of the stalk and environmentally friendly adhesives, the creation process leaves no waste. Its low formaldehyde adhesives mean that strand woven flooring contributes to better indoor air quality overall. And because bamboo regenerates quickly, it can be harvested every 5 to 7 years, making it the perfect crop for all kinds of flooring needs. Considering bamboo for your next project? Stop by today and see the many different colors, styles and patterns of bamboo flooring.